316 pages | 186 B/W Illus. With increases in the prevalence of psychiatric and behavioral disorders and rapid advances in the development of new drug therapies, there is an increasing need to present the science behind these developments. Students and educators are often confronted with conflicting and exaggerated claims about the effectiveness of drugs. As recently as ten years ago, the mechanisms of action of many medications prescribed for common psychological disorders were not well understood, even by the scientists developing them. Now, drug treatment has advanced to a stage where drugs are designed for their effects on specific receptors, membrane proteins, or secondary messengers within particular cells in the brain. This text introduces a sufficient background in neuroanatomy and physiology so students can comprehend the necessary details of drug action. 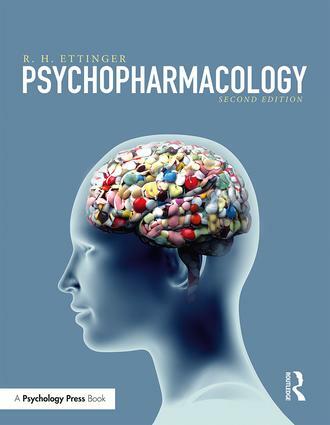 Psychopharmacology, Second Edition, presents its subject matter in the context of the behavioral disorders they are designed to treat, rather than by traditional drug classifications. Students are often familiar with the major diagnostic categories, so presenting psychopharmacology as it pertains to these familiar disorders strengthens their understanding of the physiology and neurochemistry underlying them as well as the approaches to their treatment. Each disorder is discussed from a historical context along with diagnostic criteria and descriptions of typical cases. In addition, what we presently know about the underlying pathology of each disorder is carefully described. A critical examination of drug claims is missing from most psychopharmacology texts, but is offered here. Students will read about the most current research available from a critical perspective. When alternatives to traditional drug therapies are supported by research, these studies are presented as well. Throughout, this text discusses how drug effectiveness is measured in both human and animal studies. Psychopharmacology has contributed significantly over the past 75 years to the treatment of severe psychological disorders as well as to our understanding of the brain and human behavior. This symbiotic relationship between psychopharmacology and the neural and behavioral sciences will continue long into the future. This fully updated second edition is ideal for undergraduate and pre-professional students, and includes a robust companion website. R. H. Ettinger is Professor of Psychology at Eastern Oregon University. His research focuses on psychopharmacology, and includes investigations of the neural mechanisms underlying feeding and addiction. Notably, it has led to the development of an anti-cocaine antibody and an understanding of the role of Pavlovian conditioning in drug tolerance and addiction.